For people who take their comfort seriously! 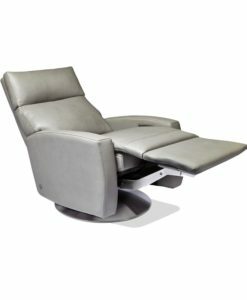 The Comfort Recliner™ by American Leather features the Infinity System, a personal, infinite-position system that adjusts to your exact comfort needs. 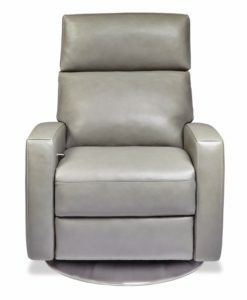 Stop in to discover why the Comfort Recliner is all your recliner wishes come true! Customize this piece in your choice of fabric or leather, fixed legs or swivel base in wood or stainless steel, extra firm seating option, and size. Recliner upgrades include power motor mechanism as well as optional rechargeable battery pack.